The Carl Verheyen Band left a phenomenal music performance to blow your mind at Bogies, in Westlake Village, Ca, June 12, 2014. The band played varies songs from the past to their current pieces. Honestly, nothing compares to the infused musical style played by (Guitarist/Singer) Carl Verheyan, (Drummer) Walfredo Reyes Jr, (Bassist) Dave Marotta, and (Guitarist/Singer) John Jorgeson. Seeing the creative blend from each musician certainly gives you the understanding that they are passionate for the love of music. 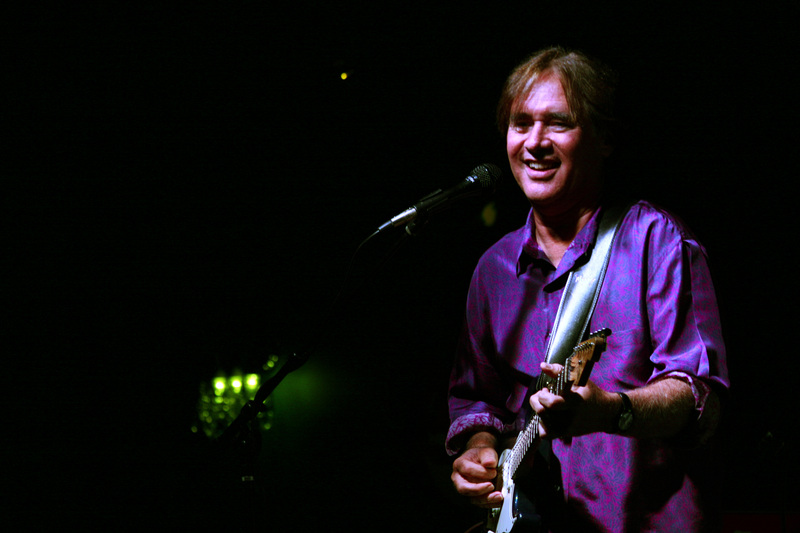 Carl Verheyen has been known to play with Supertramp and many others. He is diverse as a singer, songwriter, producer. and educator. Being that Carl Verheyen is an educator, you can find him teaching studio jazz guitar for the (Thornton School of Music of the University of Southern California). Carl Verheyen is definitely a jack-of- trades, and has proven he is not going to pull the plug on music. His creative playing style will leave you mesmerized for sure. There is not many artist that can measure up to Carl Verheyen. He is truly electrifying and musically explosive. What captured my attention was his happy personality and the love of entertaining the audience. To see him enjoy what he loves is phenomenal to take in. 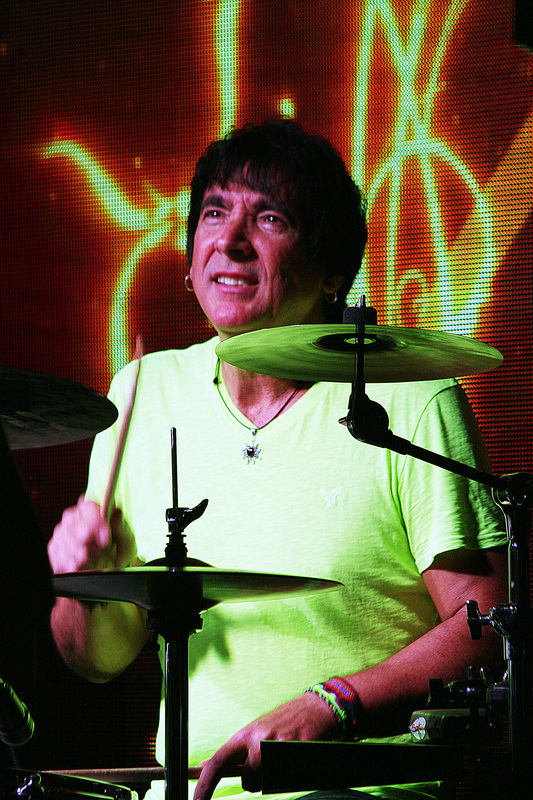 Walfredo Reyes Jr. has been known to play with Chicago, Santana, and many others. He originally was introduced to the drums at the ripe age of one from his father, whom knew the whole concept of music from Cuba. Although, born in Cuba, Waldredo Reyes Jr. was raise Puerto Rico. Walfredo Reyes Jr. has profound knowledge of Latin, Afro-Cuban and World Percussion with the drum set, which is shown through drumming style. Watching Walfredo Reyes play the drums leaves his audience spellbound, pumped up, and making them wish they could measure up to his playing style. 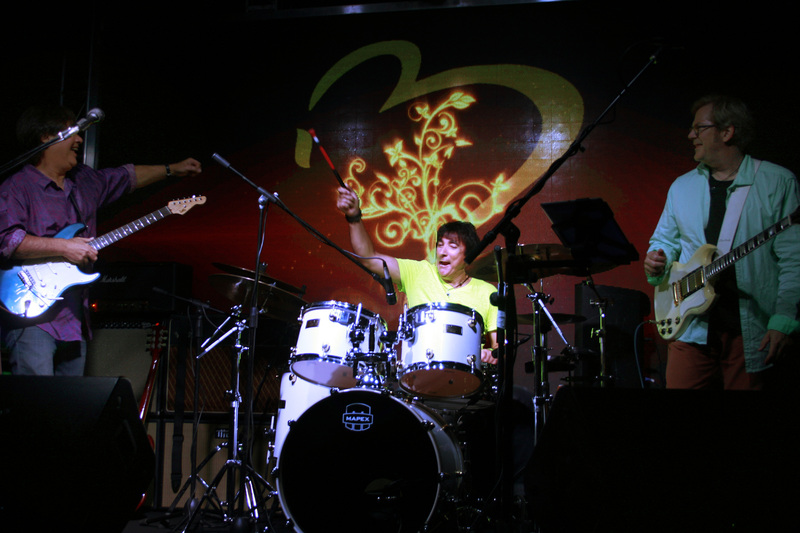 After watching Walfredo Reyes Jr. play during his live set proves how electrifying he is on any instrument. I have seen many drummers perform over the years, but none of them reach the caliber of true talent such as Walfredo Reyes Jr. After meeting Walfredo last night, I can say he is very warm, friendly, open to share his stories, and walks around with such positive energy. His upbeat personality certainly projects while he performs on stage. Dave Marotta has been known to play with Colbie Caillat, the Mark-Almond Band, Burt Bacharach, Gino Vannelli, Phil Collins, and many more. Mr. Marotta delivers a smooth playing style. which leaves you captivated. 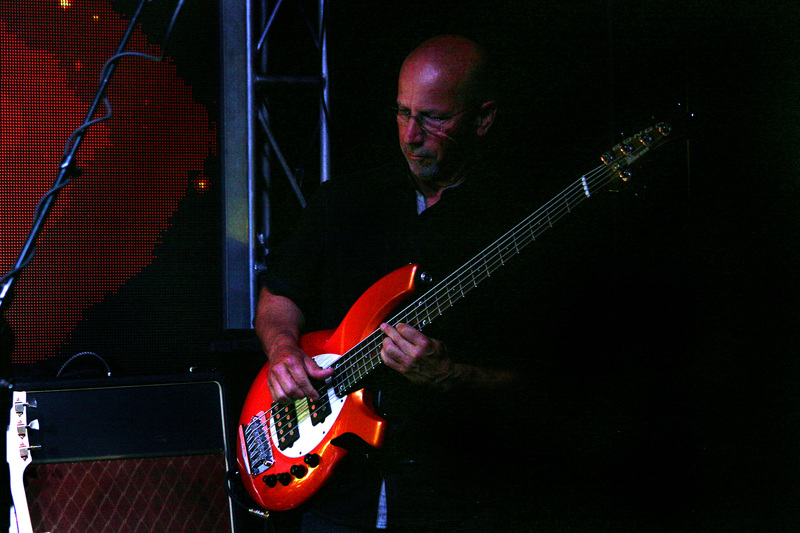 Although, Dave Marotta is a bassist player, he is actively involved in music production, conducts bass seminars and music workshops for colleges, and musical instrument manufacturers. Dave Marotta certainly has a laid-back, but yet cool persona. His technical playing style is mind blowing and exciting to see. 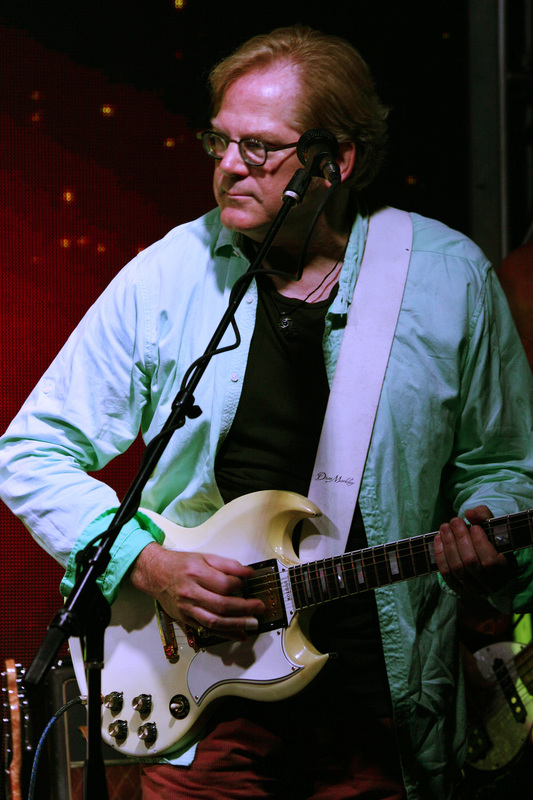 John Jorgeson is known for playing with Desert Rose Band and The Hellecasters. He is certainly known to play with the likes of Albert Lee and many more music legends. Jorgenson is also proficient in the mandolin, manocello, Dobro, pedal steel, piano, upright bass, clarinet, bassoon, and saxophone. You can also hear his smooth vocal style throughout his songs, which leaves you captivated. Jorgenson has an unbelievable music range from world music, bluegrass, rock, and classical. His musical strumming style leaves you spellbound by the phenomenal technical playing style. Being that Jorgenson is a long time veteran to the art of music; gives you the understanding he can deliver any music format without blinking an eye. John Jorgeson is remarkable, talented, and very heart-warming. Seeing Jorgenson live in person, shows how open he is about his creative craft. He is certainly friendly and willing to share his time with everyone he encounters. After getting first view of The Carl Verheyen Band, it was certainly an educational experience, and remarkable to get a full close-up of a prolific showcase. The show left memories of well known songs, musical playing style, vocal harmony, and the unbelievable drum sounds. The Carl Verheyen Band is definitely worth seeing over and over again. Keep in mind that even seeing them play again will leave you wanting to hear more. Last nights audience proved that they did not want the band to end. This signifies how well loved, appreciated, and valued of the bands amazing musical style. With a truly invigorating show, who can go wrong with the choice. They definitely grabbed the audience attention throughout the entire show, with true defiance . If you did not get the chance to see the band play at Bogies, don’t worry, they have other infinitive dates scheduled. This entry was posted on June 13, 2014 by bourgeoismagazinela in Bourgeois Magazine LA, Entertainment, Events, Music, Music Artist, Music Group, News, Rock N'Roll and tagged Walfredo Reyes Jr. Crew from Drama No Drama production, Sp 2019. Model: No name. My cross process photography work.